.London Domains - The top-level domain name for the UK's capital city - London. .London Domains, available now from £37.03 per year. London Traffic: Bad for commuters, great for websites. Buy .London Domains today! Be proud of your website and your city with a brand new .London domain name. Boost your website's visibility and improve SEO with a new .London gTLD. Immediately relate to your local target audience with a .London domain name. Protect your website's identity & prevent others 'cashing-in' on your success. In short, a .London domain is a success story waiting to happen for your business or personal website. With the ability to immediately grab the attention of your website's target audience, customer base, or business partners you can be sure that registering a .London domain name is the perfect way to increase traffic to your website and improve visibility and relevancy. A dot London domain can even help you rank higher in search engines such as Google & Yahoo. What can I do with a .London domain? The possibilities with .London domains are endless. Whether you want to use a .London domain name for a business or e-commerce website, personal blog, portfolio website, online magazine or simply want to use your new dot London domain to setup an email address, there is no question that a brand-new .London domain name will put you in the best possible position to contact, relate and interact with your target audience. Unlike most other regional and city domains, .London domain names don't carry any restrictions on who can register, so if you've got an interest in the city of London, start your online success story with a .London domain and GetDotted.com. 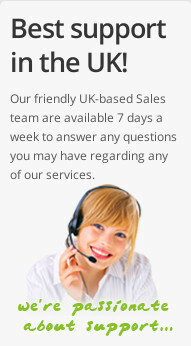 Where & when can I register .London domain names? 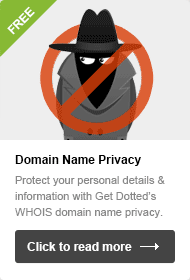 You can register cheap .London domain names immediately, right here at GetDotted.com! Simply type your chosen new .London domain into the search box below to check if your domain is available. 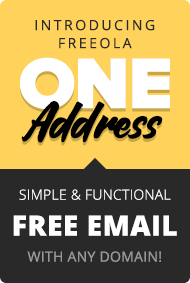 Remember, with GetDotted Domains & Freeola Internet you won't just get your new .London domain name, we'll also throw in free unlimited email and website hosting with our great free unlimited hosting offer. Our brilliant offers don't just extend to your new .London domain registration either. When you come to renew .London domain names (or any domain type for that matter), you'll save 10% on your domain renewal if you opt-in to receive renewal reminders by text message, and a further 10% if you choose to auto-renew, so don't delay, search for .London domain names with GetDotted today.